No doubt, everyone wants to make their PC last longer. But actually what have to-do don’t know accurately. PC is like a big investment and likes to work in a good flow. Here are the six simple steps to keep it healthy. Dirt and dust is the most terrifying thing for the system. They gum up the gears and reason is not work out in proper functioning. To keep it in a good stage, you have to clean your system in regular intervals and cover it when it is not in the work. Use canned air to take out debris, especially from fans. If the fans get clogged with too much dirt, they can slow down and not remove the heat from the computer, causing a meltdown much earlier. And clean your screen too, as the ammonia will dull the screen. Also, don’t have food next to your system for the same reasons. Keeping cool your system is a good sign for staying longer, it’s a basic maintenance. If you have apple system, the updates will not only update your system, but also defrag the system. 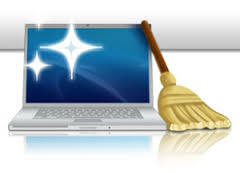 If you having a PC require def ragging and disk clean up manually. Step3: Make Sure You Have Enough RAM and Hard Drive Space. Make it sure, your hard drive and RAM should have space as well fulfilling your needs, so bare it hard drive space and minimum of memory. You can raise your memory fairly simple; as well system will run longer as well as faster too. Step4: Don’t Treat Your Computer like a Light Switch. Very important thing, don’t treat your system like a light switch. Whenever you’re work or task is over turn off your system, it also saves your power costs. Continuous powering it off and on, so many times gets stresses the components as the changes of temperature inside the system, causing the hardware to contract and expand. Protect your system with a surge protector to avoid frying your hard drive, during storms too. Unplug your system for further precautions, need just once hot surge shot, once more you are going for PC shopping. Step6: Solid State Drives Are an Affordable Upgrade to Increase Longevity. Best manner to refresh a system and lengthen its life is to replace the hard drive with a solid state drive. The latest solid state drives are becoming more affordable nowadays. They don’t have moving parts and also runs much cooler than other good and standard disk drives. It also increases your start-up speed, and you will see must faster response in your system overall.